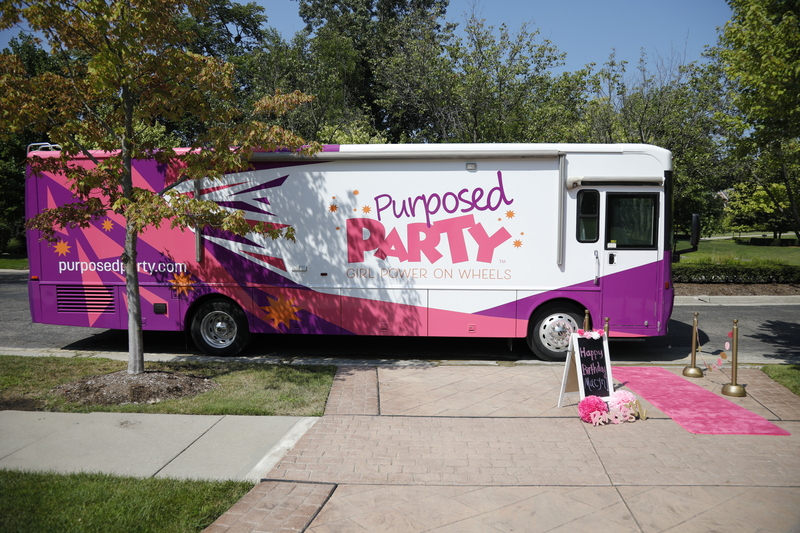 Detroit’s premier girl empowered party bus, Purposed Party, will launch on Sunday, September 16, 2018, 3-6 p.m. at Christian Tabernacle Church, located at 26555 Franklin Rd. Southfield, MI 48033. Happening during National Women’s Friendship Day, this celebration marks a movement meant to uplift girls and women. Attendees will enjoy face painting, glitter tattoos, mini makeovers, a spa craft station, and one lucky lady will win a Purposed Party package giveaway. With the fun and girly elements of traditional girl parties and an added educational flare of self-esteem building, etiquette training, and leadership development, Purposed Party encourages girls to embrace that they are not a princess for a day, but a princess for life! Customized services promote appreciation for internal and external beauty. Dynamic aesthetics of the mobile utopia include a state-of-the-art sound system, a glam station with professional spa/makeup lighting, plush seating, selfie station and a dressing room. Packages start at $375. This mobile space is a convenient way for girls and women to celebrate life. The upcoming fall and winter seasons will feature themed parties such as a Back to School Bash, Costume & Candy Party for Halloween and a Mommy and Me Winter Wonderland. Visit Purposed Party online for more information. Follow Purposed Party on Facebook and Instagram for updates.